In a world where technology rules there are still opportunities for tradition and innovation to combine. The ASKO CO4927S Slide Out Rangehood is one example, where a simple retractable mechanism creates 90cm of extraction power. When not in use the CO4927S slides away, allowing even smaller kitchens to appear light and breezy. 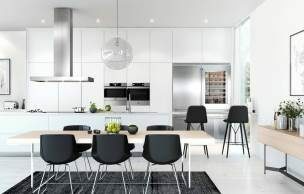 A less expensive option compared to dramatic island rangehoods, ASKO slide out rangehoods offer customised kitchen solutions, minimalist appeal and seamless integration. Housed in a varnished metal sheet and bosting stainless-steel components including 3 air filters, the ASKO CO4927S doesn’t skimp on quality. ASKO appliances are all designed for individual user style, allowing every household to experience quality dining the ASKO way. 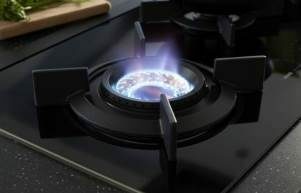 Perfect above built-in ASKO electric, gas or induction appliances, the CO4927S Slide Out Rangehood offers plenty of promise in Australian kitchens. What are the slide out rangehood design advantages? 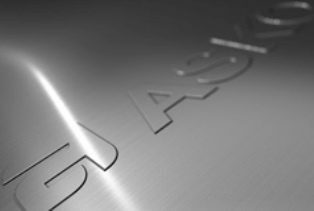 Is the ASKO CO4927S suitable in a designer kitchen? Australian home builders and designers are increasingly incorporating ASKO products into their plans. ASKO kitchen appliance solutions encompass the entire space, maximising cooking potential by using compatible products that work together in harmony. At 90cm wide, yet discreetly concealed when not in use, the ASKO CO4927S Slide Out Rangehood delivers on the ASKO promise of value-added innovative kitchen products that are built to last. With 200W total power and the ability to easily adjust extraction levels, the CO4927S Rangehood works away quietly in the background. All components are integrated for easy cleaning of the entire retractable rangehood, while the polished steel finish guarantees designer kitchen class for everyone to appreciate. Much envied by product manufacturers and designers, Scandinavian style incorporates the best of Nordic culture for contemporary lifestyle choices. Scandinavian appeal includes minimalist design features that conceal multifunctionality, plus seamless integration for creation of smooth, expansive spaces. Ergonomic utility is another Scandinavian ASKO trait, where every product is designed to minimise stress and maximise healthy living. The ASKO OC4927S Slide Out Rangehood remains true to Scandinavian style ethics. Using space-saving technology, quiet power, targeted illumination and energy efficiency, the OC4927S ticks all the right boxes. 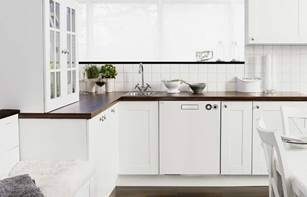 Scandinavian style is the right balance of form and function, using only the best, long-lasting components and materials. 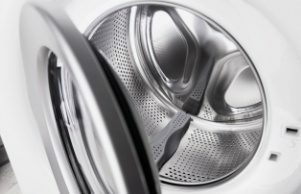 Is stainless steel the only appliance colour choice? 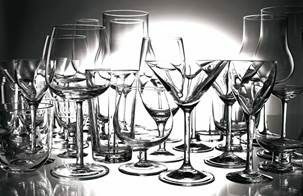 Stainless steel is enduringly popular. Nothing can replicate the appearance of polished stainless steel, and in keeping with traditional ‘whitegoods’ evolvement toward stainless steel, ASKO rangehoods offer colour coordinated compatibility. ASKO product developers also recognise kitchen appliance design trends incorporating glossy black surfaces for contemporary appeal, with a rangehood range to match. Satisfying customer expectations is the ASKO goal, and providing the full range of appliances facilitates the creation of a complete ASKO kitchen. When the chef and appliances co-exist and work together in harmony, time and money is saved for enjoying tasty results with friends and family the ASKO way.